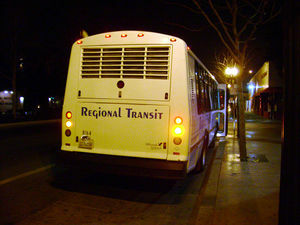 Kern Transit (formerly known as Kern Regional Transit) provides intercity and rural transit in Kern County. It connects with Amtrak, Greyhound, Golden Empire Transit. Kern Transit also serves Lancaster with connection to Los Angeles via Metrolink.